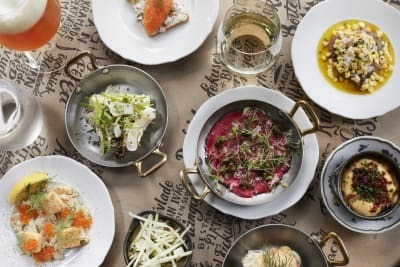 New Restaurant: Oh My Goose! OMG! 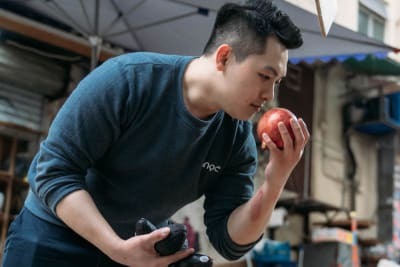 Food-court dining has definitely gone to the next level with Oh My Goose!, the brainchild of Chef Sky Lin. With almost a decade of F&B experience including at high-end Chinese gem HEXA in TST, Chef Lin did a six-month stint at Hong Kong’s iconic Sham Tseng Chan Kee Roasted Goose and learned the secrets of its success such as the ideal temperature and humidity conditions for roasting. We were treated to a roast-meat feast of epic proportions, and all we can say is OMG indeed – the flavours were exceptional and the prices incredible given the quality and heaping portion sizes. Even if you live Island side, set aside a time pre- or post-shopping/filmgoing at Langham Place for an eating frenzy here. 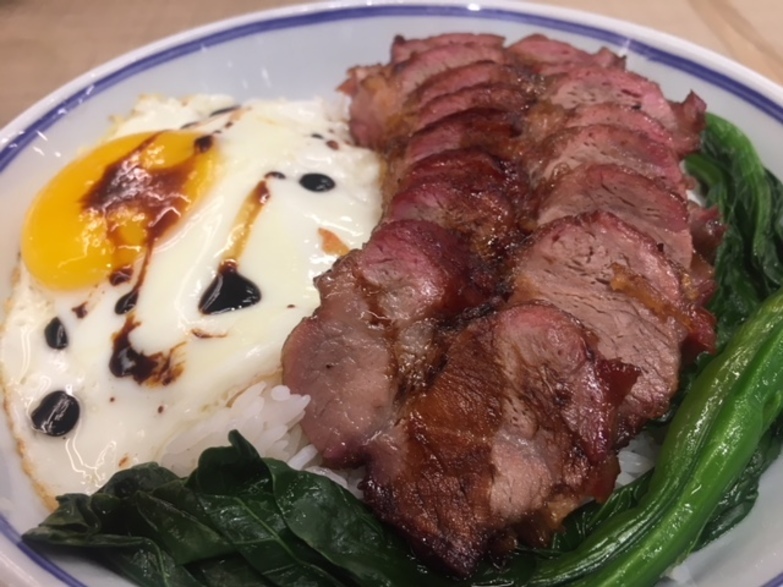 BBQ pork on rice ($52): combined with the tried-and-true ingredients of lean yet tender roast upper pork blade, fluffy steamed rice, leafy greens and a sunny-side-up egg drizzled with sweetish soy sauce, this was Canto comfort food at its finest. 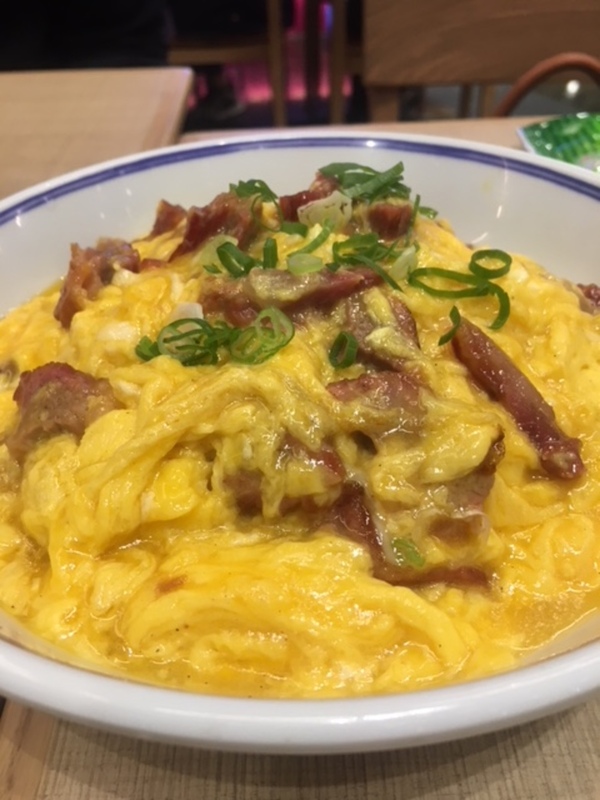 Scrambled egg with BBQ pork and rice ($45): a play on the BBQ pork and egg dish above, Hokkaido milk seems to be the key to the creamy, dreamy consistency of the scrambled egg. 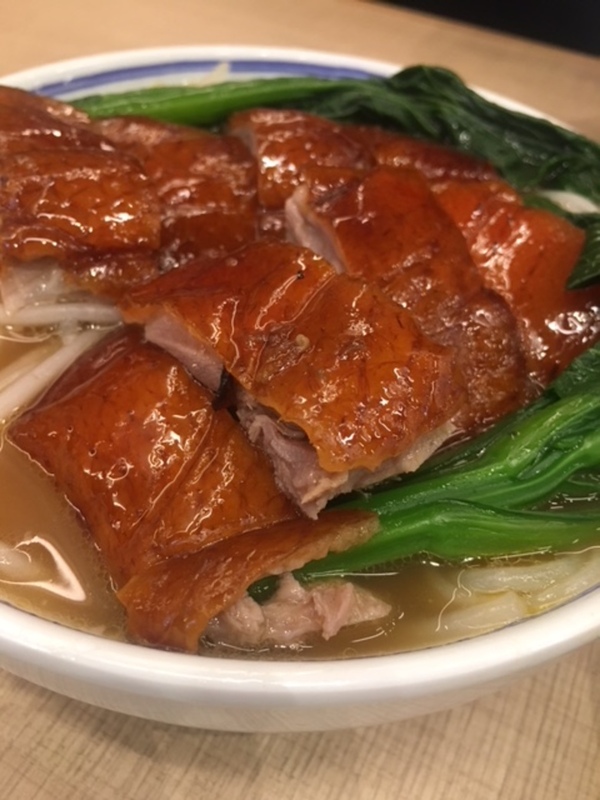 Roast goose with noodles ($58): the star of the show. We don’t think we’ve tasted finer roast goose in Hong Kong – and at this price! The skin was crackingly crisp, the meat juicy and robust in flavour, while the al-dente glass noodles and clean yet intensely flavoured broth were worthy counterparts. Baked BBQ pork and roast goose with 10x cheese on sizzling plate ($48): sure, it may be gimmicky, but we wolfed it down. This dish does what it says on the tin – the aforementioned BBQ pork and roast goose are piled atop a mound of sizzling rice, all blanketed with a thick coat of melted mild cheese. The addition of matsutake mushrooms was a nice touch to cut through the richness of the meat and cheese. Yeung chow fried pasta ($52): a play on the standard yeung chow fried rice available at countless cha chaan tengs around town, we much preferred Chef Lin’s use of tiny puntalette pasta instead of the traditional rice. 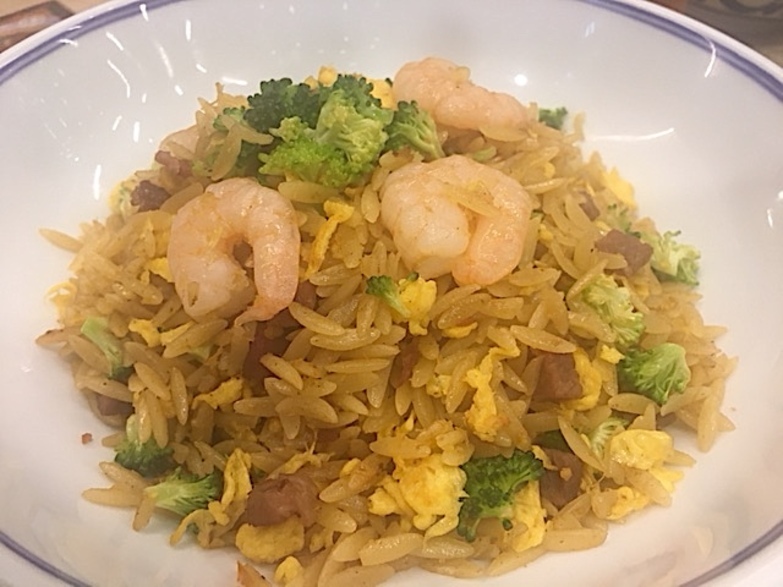 Though the puntalette was fried in prawn oil, the taste was much less oily then the fried rice versions we’ve tried, soaking up more of that delicious seafood flavour.